The college years are full of questioning, searching, and discovering. 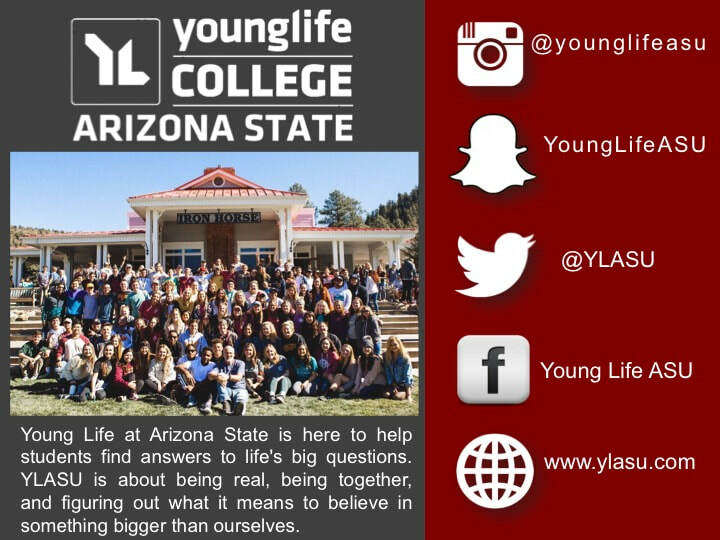 Young Life at Arizona State is here to help students find answers to life's big questions. YL@ASU is about being real, being together, and figuring out what it means to believe in something bigger than ourselves. Come join us on Wednesday nights at 8PM in the MU basement. Young Life is for everyone! Find your place in the mix and get the most out of life. A passionate, diverse set of leaders who have a vision to make a college experience meaningful.